Store, protect, and transport up to 3 DSLR cameras, 5 lenses, a flash, and related accessories with the black Airport TakeOff V2.0 Rolling Camera Bag from Think Tank. 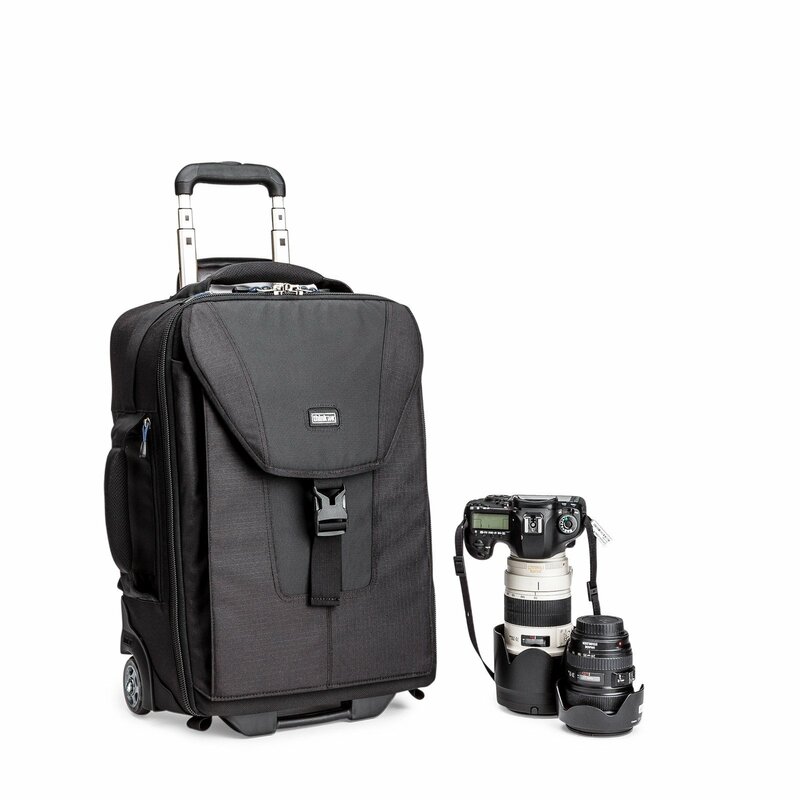 The spacious main compartment has padded, touch-fastening dividers for organizing your gear. Depending upon how you configure this compartment, there's room for a 400mm f/2.8 select lens. 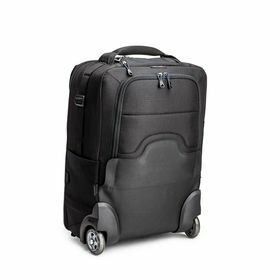 The bag will also accommodate select laptops up to 17", and a 10" iPad/tablet. Adjustable straps and pouch on the side of the bag can secure a compact tripod/monopod, or other item. Interior and exterior pockets provide convenient places to store accessories and gear requiring fast access. For security, the bag includes a cable and lock that attach to lockable zippers. 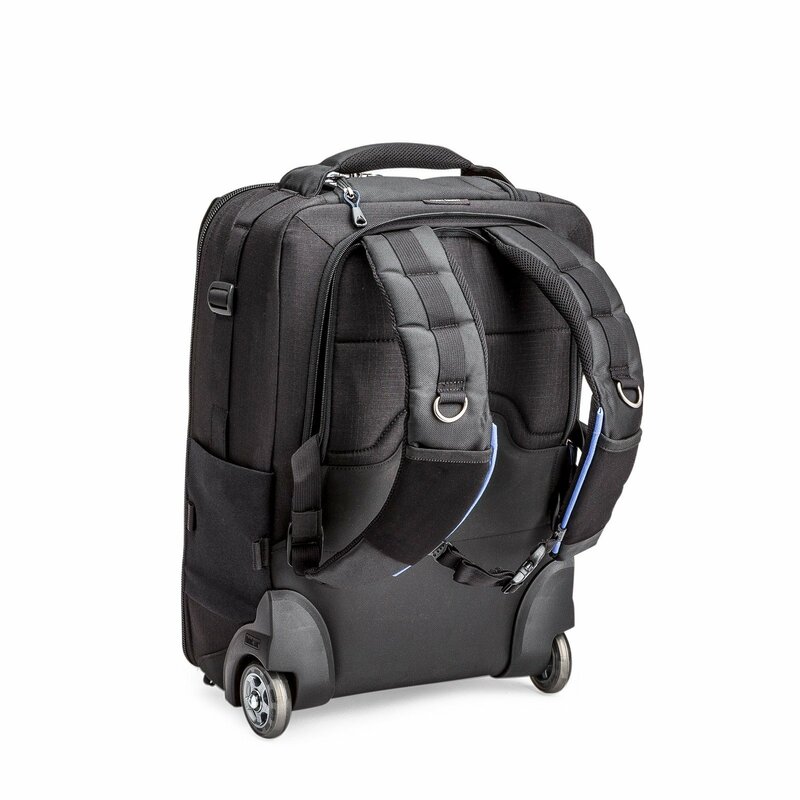 Tall skid plates help protect the back and bottom of the bag from moisture and abrasion. This protection is complemented by water-repellent, coated fabrics, 1680D ballistic nylon, and YKK RC Fuse zippers. 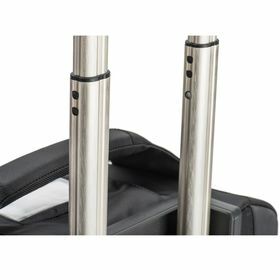 Carry your Airport TakeOff V2.0 with the top and left side grab handles or roll with the retractable, telescoping handle and smooth 80mm, sealed ABEC, quiet-rolling wheels. 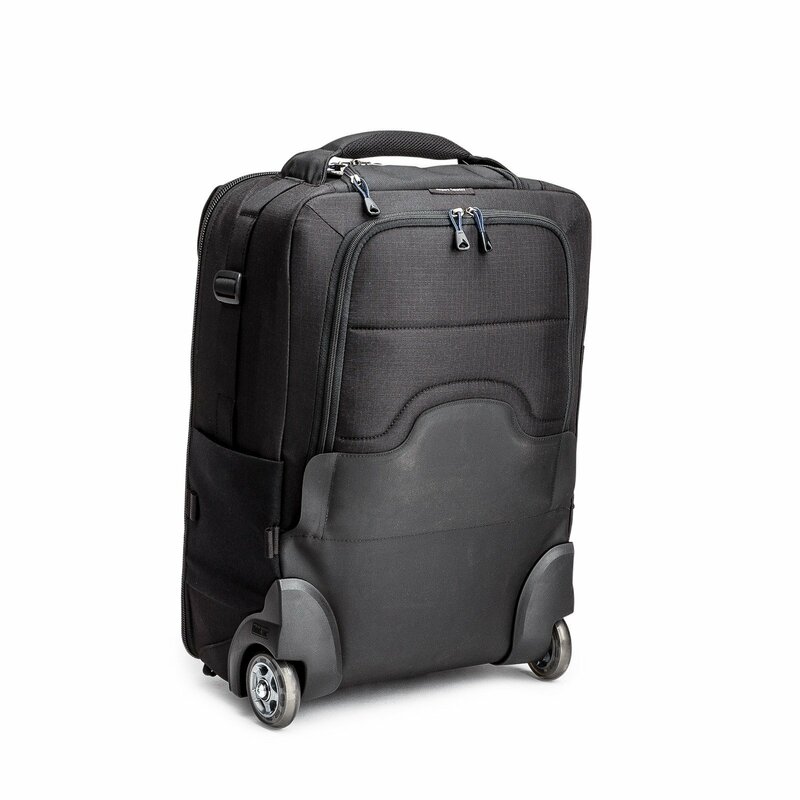 Bottom feet opposite the wheels allow the bag to balance upright. The bag may also be worn as a backpack with tuck-away straps located under the rear panel covering. Included with the bag is a rain cover with its own storage pouch.